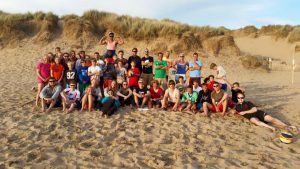 Two Week Beach Camp in Croyde, Devon, UK with trip to Sandbanks the British Junior Open Championships. 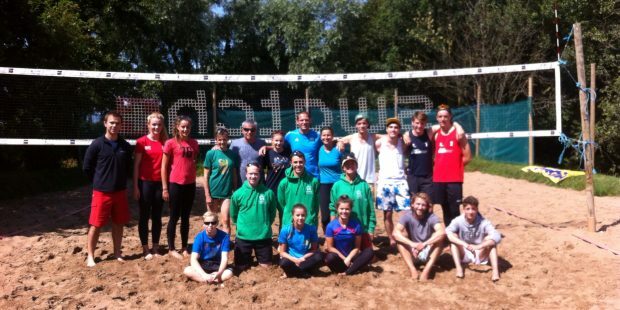 In 2019 we have one- two weeks camp available for International Beach Volleyball School Camps for 12-17 years of age. If you would like to attend for one week, thats fine please register using the link and let us know which week you would prefer. Are you or do you have a child who you would like to learn to speak English & they love to play volleyball then this is the English Beach Volleyball Camp for you! It will bring young people from all over the world together who already have a love of beach volleyball but would like to combine it with learning English. 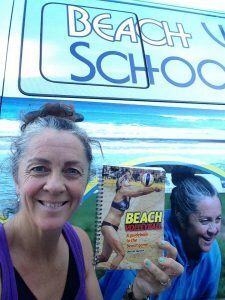 This is not an ordinary English Language School but one specific for learning beach volleyball in English, while training under great beach volleyball coaches many who work with Volleyball England National Team Program. For those staying for two weeks we are offering the opportunity to play in Sandbanks which is the largest youth beach volleyball here in the UK and is the #UKBT Junior Championships. This will involve two nights camping, entry into the event and travel to and from the competition. All we ask is that you register with UKBeachTour.com to become a member and send us your membership number. Mini Bus/Coach departs Heathrow at 3 p.m. for North Devon. Arrive into North Devon and be allocated to the local families. Activity day with Treasure Hunt around Ilfracombe or depending on the weather a late afternoon social at Croyde beach with BBQ. Each day the shuttle will return the students to their host families with evening activities with the language school in Ilfracombe on three evenings. 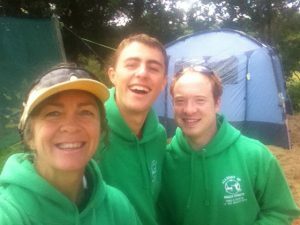 Travel to Sandbanks, where we will camp at Merley Court Holiday Park an award winning camp site in Poole, Dorset. If you are only staying for one week then this is your rest day and chance to explore the beautiful town of Ilfracombe. If you are travelling back on the Saturday 6th July your transport will be organised with Country Cousins. Depart Ilfracombe and return to Heathrow. Compete in the Sandbanks UKBT Junior Championships 2019 either in two age groups or the 3* UKBT senior event TBC. Costs for the camp £700 one week £1400 two weeks. Seven/fourteen nights accommodation with breakfast, packed lunch and dinner. Three evenings entertainment with the Language school in Ilfracombe, with BBQ, Talent shows Disco, Karaoke and Sports. Beach Volleyball Guidebook with all the beach volleyball moves in English. Special Diets. Vegetarians are no extra cost, for Vegans, Lactose intolerant or celiac there is an additional charge of £40 per week. If you would like any extra supplementary English lessons these can be arranged with the language school at £35 per lesson. Payable by BACS/CHAPS/IBAN details will also be shown on completion of registration, we also have a Transferwise Bank Account which has multiple currencies, please contact us for which is easiest to pay. if you pay by PayPal to denise@beachvolleyballinc.com there will be a 4.5% surcharge added automatically if you pay immediately. Please complete the enrollment form and send it with a deposit of £300. The deposit is part of the course fees and will be deducted from the total fees payable. Students will not be met at the airport, permitted to attend classes nor to enter accommodation unless payment has been paid in pounds sterling 28 days before the course starts. 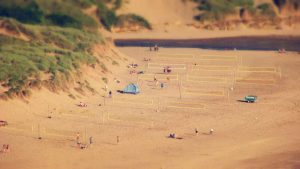 Beach Volleyball Inc. reserves the right to cancel a course or make changes to course arrangements without liability if obliged to by circumstances beyond its control or due to low demand. In such cases, Beach Volleyball Inc would seek to offer alternative arrangements, dates or venues, or a full refund of fees for tuition and accommodation. Beach Volleyball Inc reserves the right to refuse to accept a student due to overriding health and safety concerns, or in cases where we or the accommodation provider cannot make reasonable provisions to facilitate their learning needs or personal care. The course fees must be paid in full if documentation is required in support of a visa application. Students will not be permitted to start the course unless full payment has been received 28 days prior to start date. Changes to enrollment/confirmation documents We reserve the right to charge an administration fee of £20 each time course details are changed after confirmation has been issued. Changing Accommodation If students request a change of host family without a justifiable reason there is a charge of £165 providing we have another family available. Student conduct/standard of behaviour We reserve the right to terminate without notice the course of any student where misconduct is proven to be persistent. There will be no refund of fees to students whose courses are terminated in this way. Additional travel costs must be paid for via credit card. 1. Grants the student permission to participate in the full programme of English course and leisure activities. 2. Authorizes Country Cousins and Beach Volleyball Inc to take appropriate action in the case of any medical or another emergency, and accepts responsibility for any resultant cost. 3. Accepts responsibility for any willful damage caused by the student and any resultant cost for repair or replacement. for example breakages through acting irresponsibly. Promotional Photographs and Videos for Beach Volleyball Inc or its staff may take photographs and videos of classes or other school activities during the student’s time with us, which may be used for promotional purposes. If the student does not wish to appear in any promotional materials, please advise us at the time of booking. The minibus will leave LHR London Heathrow at 3 pm so flights must arrive between 11-2pm. London Heathrow flights outside of these times please contact BVInc (Flights cannot depart before 2 pm or land after 2 pm). The Return to Heathrow On Saturdays, the London Heathrow bus will depart North Devon at 6 AM. This bus will arrive at Heathrow airport at around 11:30 AM for flights to be scheduled between 2-5pm. There is a possibility to be collected from Exeter or Bristol at no extra charge please contact us as admin@beachvolleyballinc.com before booking flights to these airports usually scheduled between 8am-9pm. The cost of Visa Invitation letters for non-European Students is £35 per letter per student. Letters will be posted by DHL International. • PLEASE NOTE It is compulsory that you get Travel Insurance to cover the loss of and/or damage to personal belongings, medical expenses in the event that the student is ill, and course fees in the event of an unexpected cancellation or curtailment of the course. 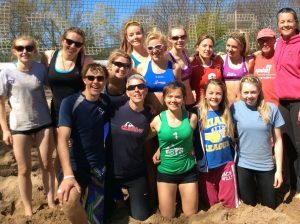 If for any reason we have forgotten anything we have made a list of FAQ to help guide you through sending your precious person to our International Beach Volleyball School.